En el año 2006 Relojes Tourneau llego a un acuerdo de colaboración con el grupo Suizo de Relojes Swatch para la comercialización y venta de relojes del grupo Swatch en los Estados Unidos. 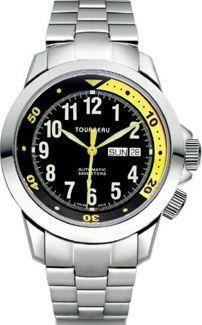 Tourneau, Inc., is a watch retailer established in 1900 and based in the United States. Selling from inexpensive brands such as Citizen and Swatch all the way to top brands including Rolex and Patek Philippe & Co., and others, Tourneau with 37 boutique locations is one of America's largest retailers for luxury watches. The company specializes in men's, women's and certified pre-owned timepieces, sells accessories such as luxury eyewear, watch winders and cases, and writing instruments. 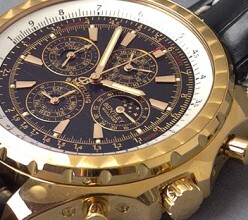 In addition, Tourneau serves as an independent factory-authorized service center for over 100 watch brands that it sells. Beginning at the turn of the twentieth century the Tourneau family established a business of selling watches in Western Europe. When the family immigrated to the United States in 1925, a small portion of a dressmaking shop in the Berkshire Hotel was the seedling for selling watches to a bustling New York City. This location would be the future site of the store location at 500 Madison Avenue and 52nd Street. In 1930, Tourneau opened its first retail store in New York City at Madison Avenue and 49th Street, only three blocks from the current 52nd Street location, and it was an immediate success. Tourneau soon became known as a watch innovator, developing and popularizing many new models throughout the 1930’s and ‘40’s During World War II, in the midst of a slowdown in some sectors of the civilian economy, Tourneau opened a branch in the Pennsylvania Hotel across from Pennsylvania Station. 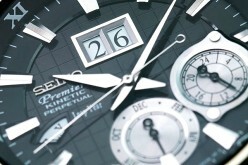 In 1979, Tourneau opened its first retail store location outside of New York City, in Bal Harbour, Florida. In 1987, Tourneau’s Customer Service and Repair Center was established, becoming an industry standard and over the years contributing significantly to Tourneau’s growth and reputation for comprehensive customer service. Additional retail store locations in Florida, New York and Texas were opened through the 1990’s. The Tourneau TimeMachine opened its doors on 57th Street in New York City in June 1997. As the flagship store, the Tourneau TimeMachine represented the ultimate in the sale of watches – a multilevel state-of-the-art watch superstore. The Tourneau TimeMachine was certified by Guinness World Records as the World’s Largest Watch Store. As Tourneau entered the new millennium, the “Watch Gear” store concept was introduced, building on the success of the Tourneau stores and Tourneau’s commitment to appeal to younger clientele. Surpassing its own achievement, the Tourneau Time Dome opened in Las Vegas, Nevada in 2004 and is now recognized as the World’s Largest Watch Store by Guinness World Records. After providing almost 20 years of expertise in watch repair and service, 2006 marked the opening of a new state-of-the-art watch repair facility in Long Island City, New York. With this new location, Tourneau remains the customer service leader in the industry. Expanding into yet another division, Tourneau began in 2007 to open the first of three locations in Outlet shopping centers in California, Florida and Texas. From modest beginnings at the turn of the century, Tourneau has expanded to locations in 14 states and continues to be an innovating presence and retail leader in the global watch industry. 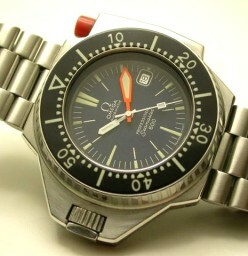 Dónde Puedo LLevar a Reparar Mi Reloj Tourneau?